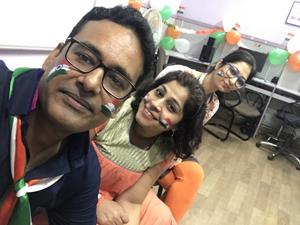 What can be a better way to celebrate Independence Day with the inclusion of each & everyone with lots of fun, flavor and stories of valor- We celebrated 70th Independence Day of India in the same manner. 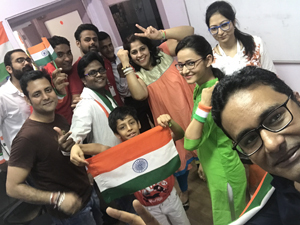 Everyone was energized, ebullient and motivated to make this occasion special, memorable and a tribute to our freedom fighters. 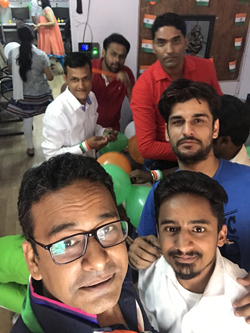 Office Decoration with balloons and flags was so fascinating and quite impactful in channelizing essence of independence, and for that, Decoration team deserves lots of applauds. 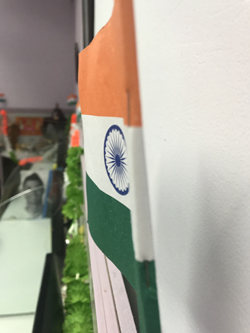 Ethnic wear theme was cherry on the cake, as it glamorized the whole ambience and created an aesthetic appeal.